Traditional and airbrush makeup for your wedding day, rehearsal day, or special event. After working with hundreds of brides, the Beauty Muse Collective team understands the importance of looking like the most picture perfect version of yourself on your wedding day. Onsite makeup services are designed to allow you to relax and enjoy your special day. For brides, the process begins with a trial, where all the details of your wedding — from your dress, to your flowers, to your location, are taken into account. 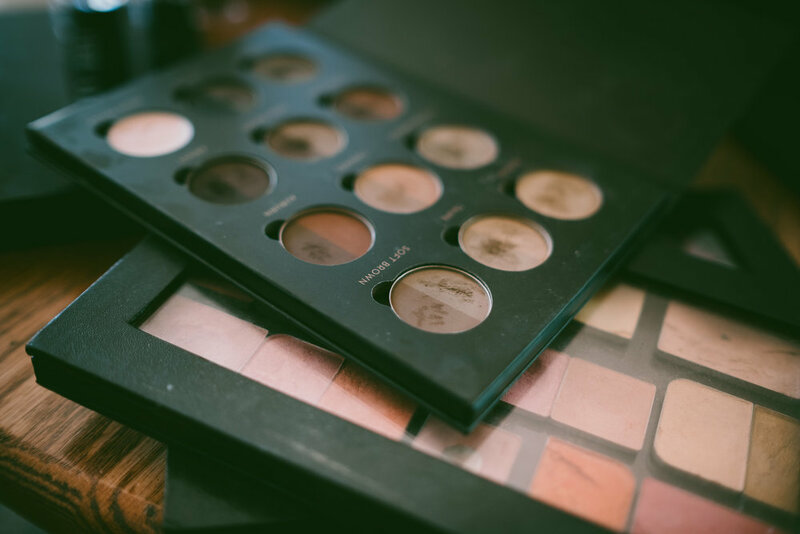 Whether it be something sultry and romantic, or clean and modern, we will work with you to create the makeup of your dreams. A step-by-step lesson customized to teach you the makeup skills you need to achieve any look you desire. We will sort through the makeup you already own, telling you what to keep and how to use it, introduce you to new products and provide a shopping list of items to complete your new look. Ultimate beauty starts with healthy radiant skin. With over a decade of experience as an esthetician, and master training in skin conditions such as acne, rosacea and sun damage/aging, Dana will expertly customize a result driven treatment program and recommend home care products. Perfectly shaped arches frame the face and provide the finishing touch to any beautiful makeup application. As a highly sought after brow artist, Dana helps to guide brows into a natural, flattering shape for each individual.